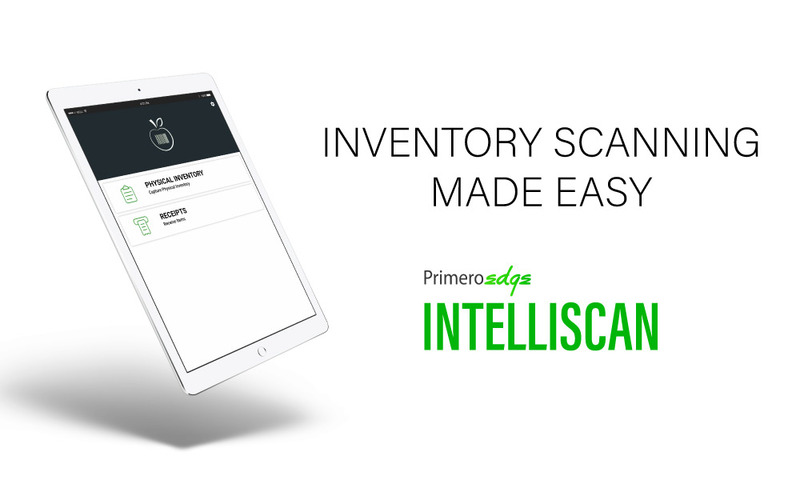 Introducing Mobile Inventory with IntelliScan. IntelliScan streamlines your inventory process and reduces human error. Easily receive receipts and count physical inventory with the touch of a button. And because IntelliScan syncs up with PrimeroEdge, it’ll work for you right out of the box. Say goodbye to paper counting and tallying on your invoices. IntelliScan brings your inventory process into the digital age by shrinking it down to nothing more than an app on your mobile device. Save more than just trees – save time. IntelliScan speeds up the process of physical inventory counts. Using your device’s camera, you can scan the UPC code on items, search for the items on the screen, enter the usable quality and instantly save the information. Forget printing that clunky stack of paper count sheets. With IntelliScan, you can easily confirm receipts and conduct physical inventory counts by touching a few buttons on your mobile device. IntelliScan greatly reduces the risk of making a mistake in your count. When a delivery arrives to your site, you can bring the device directly to the delivery location to confirm receipt of items, and update your inventory immediately. If you become busy with another task, you won’t be bombarded with the updating the inventory later, or worse, risk forgetting to update the inventory at all.